Need a Home Appraisal in League City, TX? As one of the leading providers of residential and commercial appraiser services in the League City market area, our certified appraisers can help you with valuations for both private and lending use. Our philosophy is to provide a fast, accurate and comprehensive valuation service that meets our clients expectations exactly. Not only do we deliver our reports faster than most other appraisal businesses, we offer some of the lowest fees for appraisal services in the area. Furthermore, our appraisers are able to provide valuation services for any use including lending, private matters, insurance, legal issues and any other situation that requires an accurate and reliable property value. Be it homeowners or industry professionals, our dedication to you remains the same – to provide a reliable and courteous appraisal service. If you have any questions or you’re ready to place an order, simply call the number on this site or complete the appraisal request form found above. 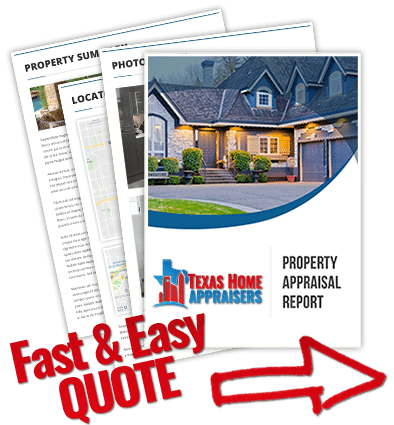 Do you need a public home appraisers in Houston today? Give us a call or submit the web quote form and our staff assist you shortly. An appraiser’s inspection of the house is solely for the basis of comparison of other properties, where an inspection is the basis for the absolute condition of all aspects of that particular property. The appraiser briefly walks through the house to get an idea of the general condition and room count. An appraisal is not a guarantee of condition. It is the appraiser’s job to ask certain questions regarding the condition that may affect the value. In certain cases, if you feel your home has external or internal damage that may be unapparent to the visible eye of an appraiser, you may be prompted to seek the advice of a real estate inspector. Typically, an appraiser needs to document the condition of the property, both inside and out, from the layout and features to degree of modernization including any updates as well as the overall quality of construction. The appraiser will generally consider only permanent fixtures and real property. Appraisers utilize many different forms of data to help them through the valuation process. Only by measuring the outside of the property is an appraiser able to calculate the gross living area of a property. Non-living areas, such as garages or covered porches, aren’t included in GLA, but are accounted for and considered in value separately. Broker’s Price Opinion (BPO) vs. an Appraisal? An appraisal report is a much more thorough analysis of the factors that influence real estate values. Unlike a Broker, the appraiser is required by licensing laws to have no interest tied to to sales of a property and their fee cannot be based on the value of the property. Appraisals may only be performed by properly licensed professionals. A comparative market analysis or broker’s price opinion is an informal estimate of market value, based on comparable sales in the neighborhood, performed by a real estate agent or broker. Ultimately, the motivation behind the report is the largest difference between a BPO and an appraisal. While appraisers must be impartial and disconnected from the valuation and sale of the property, brokers are typically looking to obtain a listing and earn a commission. This can lead to a conflict of interest whereby a broker could tell a client what they want to hear to gain a listing. A certified appraiser is independent and not earning a commission on the sale. The delivery of a well researched and reported appraisal valuation is the appraiser’s only other concern. Lenders will typically use the sales price or the appraised value, whichever is lower, the set your LTV. This means if the appraisal comes in equal to, or higher than, the sales price then everything is hunky-dory and the purchase price then determines the LTV. The good news is that you now have built in equity in the home. You should also be aware that the seller is not given a copy of the appraisal so they will never know that it came in higher than the sales price.